Thanksgiving is a beloved holiday because it's a time to gather with relatives from afar. It's a dreaded holiday for the same reason. Many of us aren't accustomed to socializing with people who think differently from us, especially about politics. 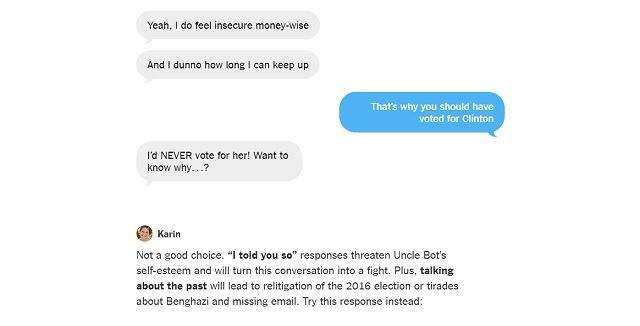 [...]Before the big day, practice discussing a couple of difficult topics with Angry Uncle Bot, a chat program created to help teach you the techniques. The program is a multiple choice quiz which guides you on what to say and how to say it. It scolds you for making decisions that are "not good" and tells you what to say instead. In the real world, 9 out of 10 times your average NY Times reading lib would actually just get schooled by their "angry conservative uncle" because he's not an emotional child. 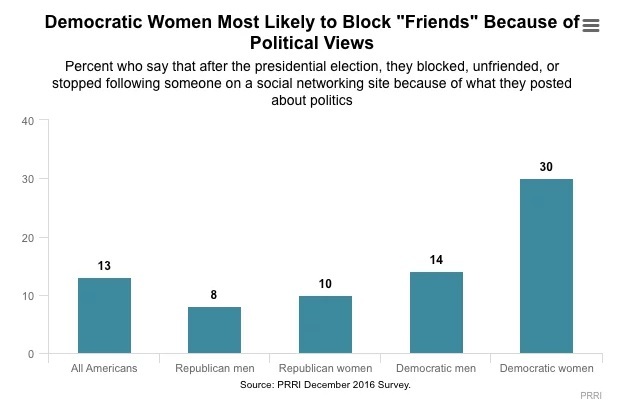 Study after study has shown it's liberals who break off family ties with their relatives over political differences and it's liberals who are incapable of talking to people with differing views because their NPC programming -- by design -- has turned them into basket cases incapable of engaging in actual debate. If they weren't programmed to have mental breakdowns at the first sign someone disagrees with them, then they might actually get to hear what the other side thinks and realize right-wingers are not "evil" people who want everyone to suffer but have actual logic behind their beliefs.